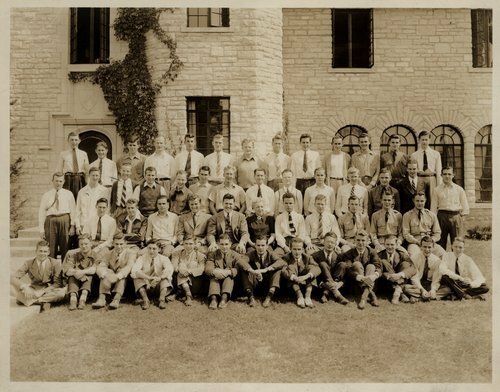 This group photograph shows members of the Gamma Epsilon chapter of the Beta Theta Pi fraternity at Kansas State University, Manhattan, Kansas. Richard Dean Rogers was a member of this fraternity. Later, Rogers was a U.S. District Court Judge.